In case you still remember kransom’s posts, you might think this is some kind of insightful and highly detailed blog. Unfortunately, you’re actually thinking of all the other ones on the sidebar. Sayonara, Zetsubou Sensei vol. 2 is a cool manga, you should read it. If you’ve already watched it, it pretty much covers all the same jokes, but personally I don’t care about that. Faust vol. 2 doesn’t have Kara no Kyoukai in it. I guess everyone hated it so much in the last one that it’s gone now? I haven’t actually read this one yet, but Omo covered vol1 pretty well. 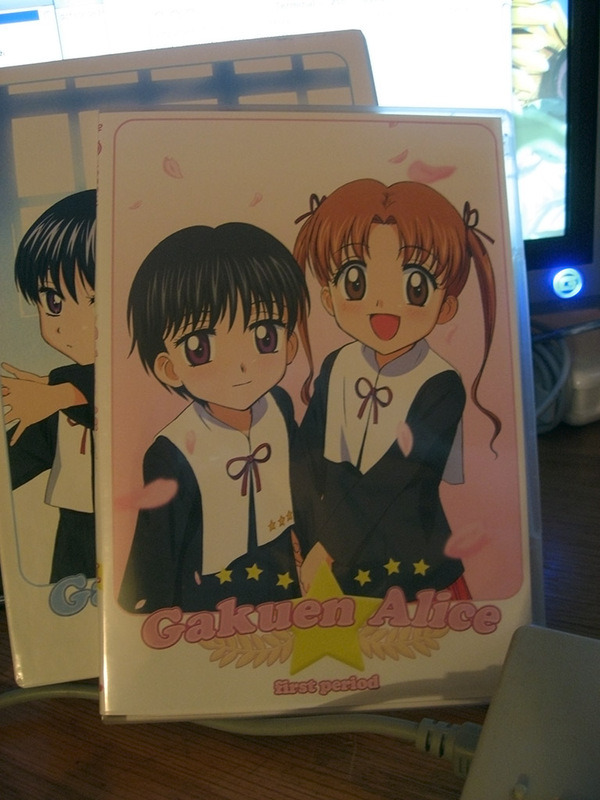 Gakuen Alice has a really unfortunate DVD cover but you should watch it if you like that kind of thing. I haven’t done anything recently except play Umineko (which is more or less brilliant) so maybe this blog and that other blog will stay dead for a while. 2chan.us is a blog. You can use a feed reader to receive updates on the entries or the comments. The design is called "design" and it is by Shii's Banana Hut. 1.201 seconds just for you.